Canada’s capital city of Ottawa stands firm in keeping its harmonious and progressive multi-cultural environment. Ottawa stretches over an area of 42 square miles. 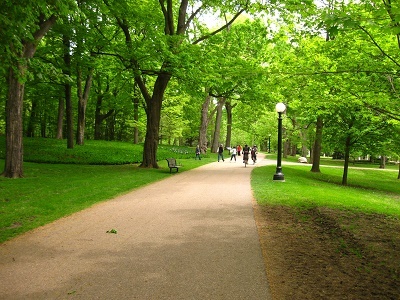 It is a wide expanse of parks and tree-lined boulevards. The city is located on the south bank of the Ottawa River with a portion of the Rideau Canal serving as one of its main waterways. 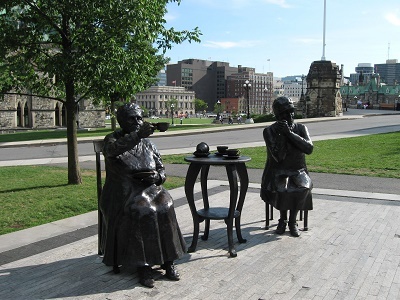 A section of the city called Lower Town is Ottawa's oldest section, and where locals widely speak French. Ottawa's financial and commercial hub is aptly called Centretown, and is situated to the west of the Rideau Canal, which is mostly made up of English-speaking inhabitants. Ottawa's summer temperature stays at about 30°C. Riverside areas are usually the most humid. Winters on the other hand easily make Ottawa a snow-white wonderland. Temperatures can hover around -10.8°C or a bit higher. Spring and fall are prone to temperature extremes. Hot days may start as early as March but can also commence as late as October with snowfall found somewhere as late as May. Ottawa is the fourth largest urban area in Canada. The population has been increasing quite steadily in the past decade. The significant increase in Ottawa's population is mainly due to the influx of foreigners seeking employment. As a result, the city is a mix of culture- Western, European, Middle-Eastern and Asian. This city is considered as the ‘greener pasture' by most people who have decided to take advantage of Ottawa's good-paying employment opportunities. Its two most significant economic centers are the federal government and high technology industry. Thousands of expats refer to Ottawa as their home in the beautiful land of Canada. It is no surprise that you will also be drawn to this city because of its breathtaking Victorian architectures and the historical Parliament Hill. Aside from these, Ottawa is also a magnet to foreign nationals because of its thriving business sector which provides promising job opportunities. If you have decided to start an adventure in one of the fastest developing cities in North America, here are a few tips to help you out. Many websites post advertisements of houses and apartments in Ottawa, which includes the rental prices and their locations. You can check these online portals a few weeks before your arrival so you will have an idea how much to prepare for your housing needs. There are also local brokers that you can contact once you get in the city. Make sure to be very specific when it comes to your budget and needs so they can give you the best options. The average monthly cost of your utilities like water, electricity, and gas is €100. You can also get other services like internet connection which will cost you around €40 per month and mobile service where local prepaid calls are billed €0.20 per minute. There is a broad range of housing selections like apartment buildings, condos and small houses. You can also choose between a short term and long term rental agreement depending on your planned length of stay. Ottawa is known for having low rental prices even in the cosmopolitan where the price of a one bedroom apartment starts at €800 and €1300 for a three bedroom unit. You will also find accommodation outside the city centre for around €600 per month for a one bedroom flat and €1000 for a three bedroom unit. There are three prominent international schools in Ottawa where they are using the International Baccalaureate Program (IB) in teaching. Many expat parents find these institutions best for their children who are still adjusting to their environment since they will be among other foreign students. One of these establishments is the Academie de la Capitale International School. The city also requires all children from 6 to 18 to be enrolled in an educational institution. There are many public and local schools in Ottawa that provide quality education like the University of Ottawa which was founded in 1848. Shipping and removal companies offer door to door services to Ottawa where they will take care of the whole moving process until your precious belongings are safely delivered to your new home. It takes about 21-23 days for the containers to arrive at the Port of Montreal, the nearest seaport to Ottawa where the cargos will be delivered to the city after inspections by local customs officers. For more information about the city’s import regulations, click here. If you are planning on bringing your pet with you to Ottawa, you need to contact the Canadian Food Inspection Agency since they are the one who deals with the importation of animals. You also need to secure proper documents such as your pet’s Rabies Vaccination Certificate and International Health Certificate, which are both signed by a licensed veterinarian. You will find your new life in this city worth all the hard work you have gone through while relocating. 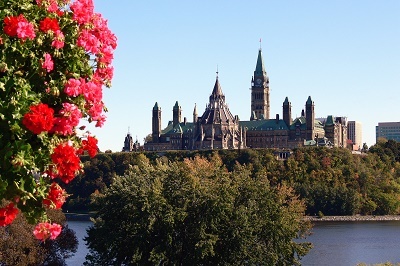 Its vibrant communities, welcoming locals and clean environment are just a few of the many things that will make you fall head over heels in love with Ottawa. Ottawa is the fourth-largest and capital city of Canada. It is the headquarters of most of the federal departments of the country and treats the Public Service of Canada as its primary employer. Expatriates who are living in the city are sure to have landed in an employment whether in the public services or in its high-tech industries. Foreigners are attracted to start a life in this gorgeous city for its low unemployment rate and high-standard of living. In the 2016 Mercer Quality of Living Survey (worldwide), Ottawa ranked as the 17th city with the highest quality of life. Both large multinational companies and thousands of expats choose this place because of its political and social stability, reliable health care system as well as high level of personal safety. Ottawa was once a humble lumber town, but nowadays, it has become one of the rapidly growing North American cities that served as a home to thousands of immigrants that are searching for a blooming career and a prosperous life in the second cleanest city in Canada. Since the standard of living in Ottawa is undeniably great, it is definite that expats would love to have their children enjoy life in the city. Ottawa is best for kids to explore on summer days when the sun is up and ready for some fun and games. Expats will see a lot of sunshine while in the city which leads them to many open attractions such as the Valley View Little Animal Farm, Eco-Odyssey, Saunders Farm and the Pirate Adventures. Even adults who are fond of outdoor activities will fall in love with Ottawa's Gatineau Park. Here, visitors can keep themselves far from bored by engaging in several activities such as cycling, horseback riding, boating, in-line skating, snow and mountain biking and rock climbing. Expats that are about to live in Ottawa will be glad to know that the sources of their daily necessities are just within reach. From posh shopping malls with lots of boutiques and movie houses to supermarkets, this city has it all. Bayshore Shopping Centre is one of the leading shopping centres in Ottawa that has over 30 newly renovated retailers and vast complimentary parking. Another establishment that deserves a constant visit from you is Loblaws, a trusted one-stop supermarket that shelf both international and local products. Ottawa also boasts an impressive selection of local markets where newcomers can buy fresh produce and all sorts of trinkets. One of the most visited local markets in the city is the Ottawa Farmer's Market that has more than 100 vendors that sell locally grown and locally made foods. There is also the Byward Outdoor Market, one of Canada’s largest and oldest public markets that were established in 1826. For expats living in the city and are simply driving around short distances, it is better to maximise the use of public transportation instead of owning a car. However, for expat families who would like to secure their vehicles, they will find how simple and normal traffic life is in Ottawa. Traffic congestion is never a problem and would only happen in very minimal instances. The only thing expats would have to take note is the common intersection and bridges between the two rivers and canal bisect. Expats who just arrived in Ottawa are advised to open a Canadian bank account as soon as possible to make international bank transactions such as remittance and exchanges. When opening a bank account in Ottawa, expats are required to secure a Social Insurance Number (SIN). Once done with claiming a SIN, expats are then assisted by a banking representative who would explain the banking process to them. Expats may try any of the following banks: Bank of Canada, RBC Royal Bank, CIBC Branch & ATM and the First National Bank of Ottawa. Ottawa is one of the cities in Canada chosen by thousands of expatriates. None of them would even feel even a bit of language barrier since the official language in the city is English. Tipping is also widely practised in Ottawa. Locals mostly tip taxi drivers, hairdressers, waiters, bartenders and gas station attendants. The standard tip given to service providers in Ottawa range from 10-15%. Overcoming culture shock can also be easy as Canadians are accustomed to giving new settlers a warm welcome and greets them with cheerfulness. Expats would also notice that there has been a fusion of many cultures in the city brought about by the many diverse settlers in the city.